Tonics date back hundreds – and in some cases thousands – of years and were traditionally taken at the turn of the seasons, usually from winter to spring, or from summer to autumn, to restore health and vigour. 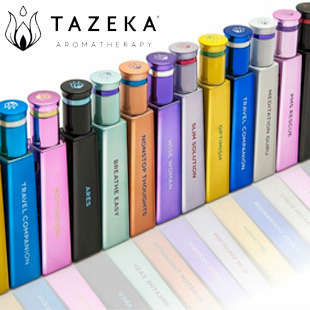 Essentially, a tonic is a medicinal, herbal preparation formulated to restore or improve your health. It contains the boiled-down essence of a herb, or more often a combination of herbs, designed to address your specific health needs, such as to increase energy, focus, or boost immunity. Taking a tonic is really like giving yourself an MOT. 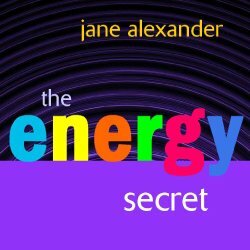 Imagine your body as a car, with the tonic acting as an agent to clear away the old sludge and grime, making sure everything is nice and clear so you can run smoothly from winter into spring. Tonic herbs are different to regular ones in that many of them are ‘adaptogenic’, meaning they produce different reactions in each individual. Unlike regular herbs, which do the same thing for everyone, for example produce heat, tonic herbs normalise your body. So, if your blood pressure is high, an adaptogenic herb might bring it down, and if it’s too low, it will raise it – clever old Mother Nature. They also help stress-proof your body by strengthening your immune system and increasing energy by supporting your metabolism rather than artificially stimulating it. Tonic herbs can be taken for long periods of time, too, as they are designed mainly for illness prevention. However, they are sometimes used for recovering from bouts of sickness. 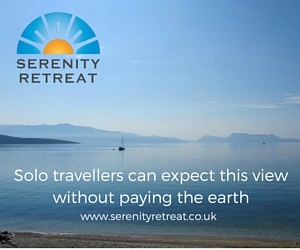 As such, there are preparations specifically designed to cleanse your blood, kidneys, digestive system and so on. Tonic taking used to be popular in the UK. It was the norm that people would liven up their diets, come spring, with herbs, weeds and even roots that have toning properties – meaning they strengthened and cleansed the internal organs. But perhaps one reason tonic taking fell out of fashion was due to the witchcraft trials in the 1500s, when practitioners of herbalism were accused of sorcery, meaning the art had to go ‘underground’. However, the knowledge remained, albeit in a diluted form. Even today, older generations might still recommend tonic taking when someone looks run down. The originally formulas would have been thick and syrupy, made with lots of sugar as a preservative. Now, thanks to the drying process of herbs and modern refrigeration options, healthier versions can be made simply by boiling herbs then straining the liquid. In China, where the tradition of herbal medicine dates back more than 2000 years – only Egyptian and Babylonian medicine predates it ¬– it’s common for people to ease into spring by taking tonics. There, people don’t pay a doctor to treat them once they are sick, as we do in the West, but rather they pay doctors to keep them and their family health by monitoring and fine-tuning their health with diet, exercise and, of course, tonics. But the Chinese don’t have a monopoly on tonics. Practitioner of medical herbalism, Ayurveda, Tibb – the Arabic form of natural medicine also known as Unani medicine – and Tibetan medicine also prescribe tonics. In the UK, you can buy tonics over the counter but it’s best to consult a qualified practitioner, as herbs are powerful medicine. 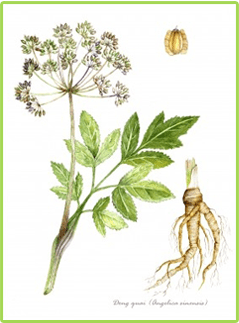 ‘Some tonic herbs, such as angelica, can interact with blood thinning medicines and could be dangerous,’ says Emma. Always check with a Chinese or medical herbalist before taking any tonic herbs. If you have any medical condition or are pregnant or breastfeeding, check with your doctor before self-prescribing. What is it? Astragalus is a small shrub that is part of the legume family. Legumes include peas, beans and lentils. Traditional use? Astragalus has been used in traditional Chinese Medicine for thousands of years to tone and strengthen the body. It is primarily known as a heart tonic, used to balance blood pressure, strengthen the heart by increasing the flow of blood to it and to help prevent diabetes. It is also an immune-enhancer and is a traditional remedy for depression. Backed by modern research? Recent studies have shown that astragalus can help protect the aorta, the main artery of your body that extends from the left ventricle of your heart down into your abdomen, where it splits into two smaller arteries. They also back up the role of astragalus in balancing blood pressure and triglyceride levels. Scientists in Shanghai found that the herb offers protective qualities following a heart attack by increasing the flow of blood to the heart. Astragalus has also been found to boost production of telomerase, the enzyme that controls telomeres – the short sections of DNA responsible for ageing and some degenerative diseases. The shorter your telomeres, the faster you age. Researchers from California found that an astragalus compound was able to inhibit the ageing process of cells and help them fight off viral infections. 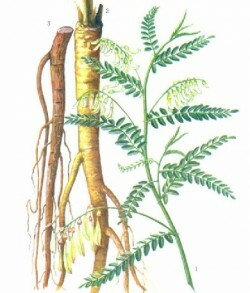 Find it/use it: Swanson Astragalus Extract, www.victoriahealth.com. What is it? 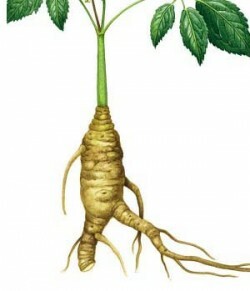 Ginseng is the root of a plant that mainly grows in North America and eastern Asia. There are several types of ginseng but both the Asian and American, Panax quinquefolius, contain the same active compounds, known as ginsenosides. Note: Siberian ginseng, Eleutherococcus senticosus, contains entirely different active compounds, known as eleutherosides. Traditional use? Ginseng is known as a powerful, cure-all tonic for your whole body. It can improve your immune system, protect your heart and boost energy and concentration. Backed by modern research? Studies have found that taking ginseng lowers the risk of getting colds. Those who took 400mg of ginseng daily for four months had fewer colds and, when they did get one, it didn’t last as long and wasn’t as severe. Further studies indicate that ginseng may help balance good and bad cholesterol. Ginseng can improve mental performance (concentration, memory, reasoning) although researchers don’t yet understand how. Research also links ginseng with greater physical endurance, increased sperm production, reduced stress and even a reduction in the risk of developing lung, liver, pancreatic, ovarian and stomach cancer. Find it/use it: Pukka Wholeistic Red Ginseng, www.pukkaherbs.com. What is it? Chinese Angelica is a herb that grows in the mountains of China, Japan and Korea. It’s commonly known as female ginseng and the yellowish brown root is the part used in Chinese herbal medicine. Traditional use? Traditionally used for menopausal and menstrual problems, it is said to nourish your blood and encourage circulation. It may also help alleviate tiredness, fever, headaches and irritability. Backed by modern research? Research from the North American Menopause Society found that a Chinese herbal formulation containing Angelica helped to reduce menopausal symptoms, particularly night sweats and hot flushes. The researchers believe it helps to balance oestrogen deficiency. Angelica also contains an antispasmodic compound known as butylidenephthalide, which can relieve cramps by relaxing the uterus. What is it? Also known as Wolfberry, the small red berries are the fruit of a shrub mainly found in China. Traditional use? 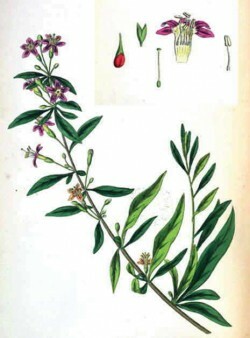 It is commonly used for liver and kidney weakness, for weak vision and sexual dysfunction. It is also used to relieve chronic coughs. Above all, goji is renowned for its gentle energising properties. It is often prescribed after illness as it strengthens your body and restores energy. Goji is also used for treating fatigue and vaginal dryness in menopausal women. Backed by modern research? Several studies have shown goji can improve immune function and combat the ill effects of stress on the body. Research also backs up goji’s reputation as a liver protector. Animal studies indicate it can help normalise blood pressure and blood sugar levels. What is it? 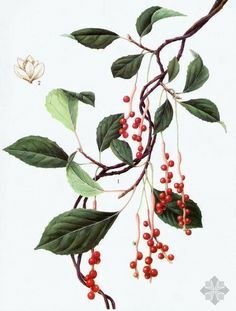 Schisandra is a woody vine that grows in the forests of northern China and Russia. The berries are the part used medicinally. Traditional use? Schisandra is a famous liver, kidney and sexual tonic for both men and women. It also softens the skin, increases endurance and reduces fatigue. Backed by modern research? The active compounds in schisandra stimulate liver enzymes and promote liver cell growth. Studies have also found that taking schisandra fruit, either alone or in combination with rhodiola and Siberian ginseng, can improve concentration, attention and speed of thinking. Find it/use it? Organic Schisandra Berry Fruit Powder, www.buywholefoodsonline.co.uk. Start with one teaspoon a day, mixed in juice or a smoothie. Early herbalists used tonic herbs from the garden in the days before refrigeration, to help the body recover from a long season of dried and salted foods. ‘They abound in our back gardens but they’re often overlooked as weeds,’ says Dee Atkinson of the National Institute of Medical Herbalists. ‘They support elimination and are fantastic skin and liver tonics.’ They are gentler in their actions and so can be used freely. Just make sure they are washed well before use. Nettle (Urtica dioica): ‘Nettles act as a general tonic,’ says Adele Nozedar, author of The Hedgerow Handbook. ‘They are rich in protein and vitamin C. It’s surprising we don’t use them more often.’ Adele recommends using them as you would spinach, in soups, omelettes, stir-fries, or by making nettle tea. Dandelion (Taraxacum): ‘Dandelion is a natural diuretic,’ says Adele. 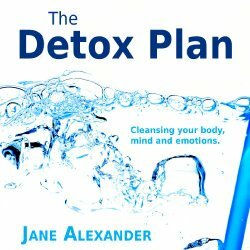 ‘It helps flush out toxins and detoxify your liver.’ Adele recommends using the leaves in salads or soups. For dandelion tea, just put a handful of washed leaves in a teapot, add boiling water and steep for five minutes. Cleavers (Galium aparine): Also known as Goosegrass, these are long, whip-like plants with very sticky stalks. They are soothing to the gut and a powerful anti-inflammatory. use the young leaves, not the stalks, raw in salads, steamed or sauteed. 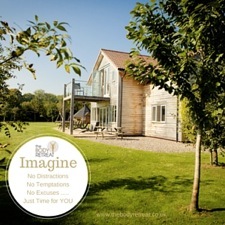 A version of this feature first appeared in Top Sante magazine.